Home » Questions » Questions » Frequently Asked Questions » Can you share a workspace in TOS? Can you share a workspace in TOS? Hi Pete – I know how to share charts and flexible grids in TOS. 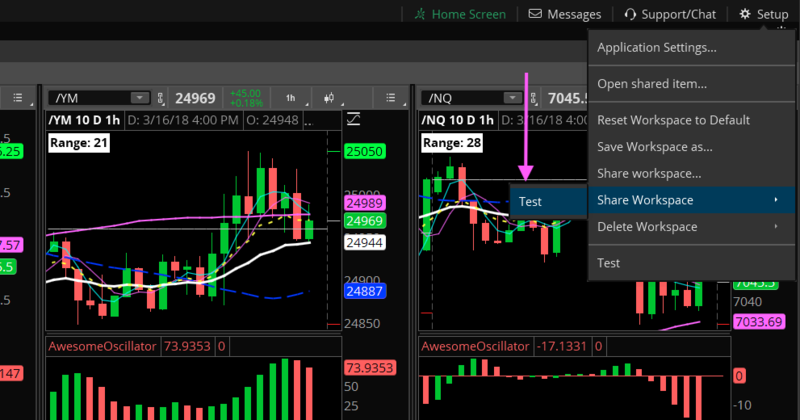 Is it possible to share a full customized “workspace” that includes custom watchlists and selected gadgets. I’m trying to get a few friends set up on the platform and want to send them my basic “workspace” setup. Thanks. The difference when sharing an entire workspace is that you must first save a workspace. After you save the workspace, an option will appear enabling you to share that workspace. 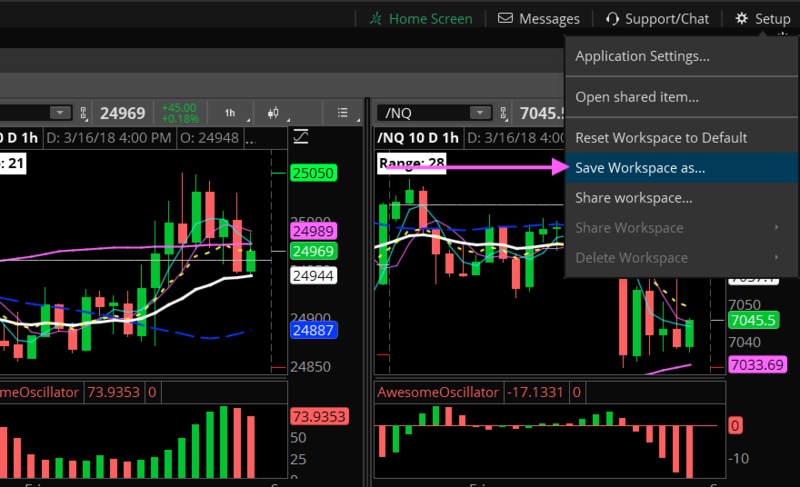 Two screenshots below show that you click on the “Setup” button in the far right corner of the main platform window. Tip: if you have multiple application windows open, only the main window will have the “Setup” button.